If you are experiencing a domestic issue or considering a divorce, pursuing a real estate investment, considering an estate plan, or dealing with another major personal or family issue, you are likely seeking an attorney who will recognize the importance of your legal matter to your day-to-day life and approach the same with the appropriate level of respect. The law firm of Hartzog & Silva in historic downtown Franklin, Tennessee , offers each client personal service, attention to detail and consideration of his or her unique circumstances. To schedule a consultation, please do not hesitate to contact us. 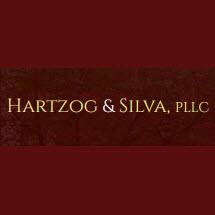 Hartzog & Silva is widely recognized as one of the premier law firms in Williamson County and Middle Tennessee handling family law, estate planning, personal injury, real estate services and other legal matters. Particularly notable elements of our reputation are our impressive history of partnerships and our involvement in the community. Our partners have been consistently recognized with the prestigious AV peer review rating* for more than 25 years, reflecting the esteem in which we are held by lawyers and judges throughout Middle Tennessee. In addition to providing personal attention and vigorous legal representation in practice areas including divorce and family law, real estate law, personal injury law, and probate and estate law, our partners also own a title company, Heritage Title & Escrow Company, Inc., allowing us to provide comprehensive real estate services. The law firm of Hartzog & Silva, PLC, and our predecessors have provided quality legal services to clients in Williamson County and throughout Middle Tennessee for more than 35 years. We have witnessed this community become one of the most vibrant in the nation with the eleventh highest level of personal wealth, the highest per capita income in Tennessee and a quality of life that is unsurpassed. We feel a part of this success. Mark Hartzog and Edward P. Silva were founding partners in 1974. Two of our former partners have been recognized by the public for their legal skills by being elected judges of the Twenty-First Judicial Circuit. Our offices are located in the McEwen-German House, at 123 5th Avenue North in downtown Franklin . The McEwen-German House dates from 1870 and is listed on the National Register of Historic Buildings. We are open from 8:30 a.m. to 5 p.m. on weekdays and have ample private parking. To learn more about our firm and the services we provide, contact us today. * CV, BV and AV are registered certification marks of Reed Elsevier Properties Inc., used in accordance with the Martindale-Hubbell certification procedures, standards and policies. Martindale-Hubbell is the facilitator of a peer review rating process. Ratings reflect the confidential opinions of members of the bar and the judiciary. Martindale-Hubbell ratings fall into two categories: legal ability and general ethical standards.